GIGABYTE also showcases its C621 AORUS XTREME motherboard which smashes single processor computing performance. The AORUS AD27QD is the world’s first tactical monitor. GIGABYTE showcased its latest AORUS extreme gaming systems in Mumbai. 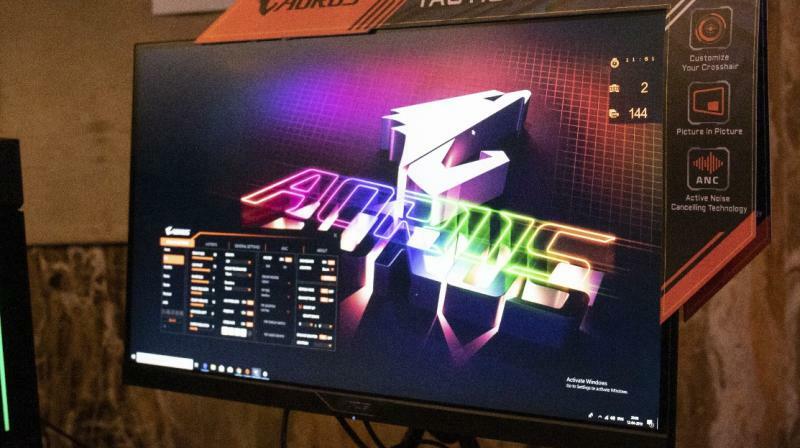 A press event was held to showcase top-notch AORUS series gaming products including AORUS AD27QD monitor, C621 AORUS XTREME motherboard, Z390 AORUS XTREME WATERFORCE 5G Premium Edition Bundle with Intel CoreTM i9-9900K, AORUS RTX 2080 Ti XTREME series graphic card, and AORUS RGB AIC NVMe SSD. AORUS is a premium gaming brand powered by GIGABYTE. During the Event, invited guests got a chance to experience AORUS AD27QD which is the world’s first tactical monitor with AORUS exclusive features including Active Noise Cancelling (ANC), Black Equalizer, Aim Stabilizer, GameAssist, AORUS Dashboard, OSD Sidekick. ; Gamers can have a huge advantage over their enemies with these out of the box features of AORUS Monitor as this is not just another Gaming Monitor but Tactical Gaming monitor, equipment that will let gamers control the pace of the game in a better way. GIGABYTE also showcased its C621 AORUS XTREME motherboard which smashes single processor computing performance with the astonishing feat of having all 28 cores running stable at 5GHz+. It is an ultimate platform for those seeking most advanced computing power for various tasks ranging from digital content creation, deep learning, extreme Game hosting to powerful medical imaging calculation, biological genetic analysis, energy exploration, astronomical science research, and much more. For extreme overclockers and gamers, GIGABYTE offers extreme performance in Z390 AORUS XTREME WATERFORCE 5G Premium Edition bundle which delivers all cores at the frequency of 5.1GHz and higher on Intel Core i9-9900K processors pretested and paired with this Motherboard. This flagship motherboard features top-of-the-line heat dissipation with striking aesthetics, drawing out the best performance from Intel Core i9-9900K processor which has been handpicked and pretested for high frequency overclocking, this ensures that every Z390 AORUS XTREME WATERFORCE 5G bundle can hit 5.1GHz at all cores for next level overclocking and performance.